So you have heard that Compassion Sunday is coming up, but for whatever reason, you are just not able to schedule a Compassion Sunday at your church. You still have the opportunity to change the story for children living in extreme poverty by creating your own My Compassion Sunday page! By creating your own My Compassion Sunday page, you tell your Compassion story and share your page with your family and friends. Share your page on your blog, in an e-mail, on Facebook, Twiiter, Pinterest, etc. Share it with all of your social media contacts. Why would I want to do this? Because by changing the story for one child living in extreme poverty, you may be making an eternal difference in the lives of more than just this one child. We may never know how many lives are changed when just one child is sponsored through Compassion. Their family, their community, their friends. 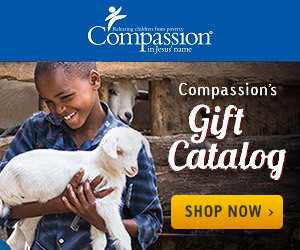 Not convinced that child sponsorship through Compassion is effective? This quote is from a study that is being released in the Journal of Political Economy in April 2013. Child sponsorship works and you can read more about this research on the Compassion blog. So what are you waiting for? Sponsor a child or create your own My Compassion Sunday page today and help to change the story for a child living in extreme poverty!